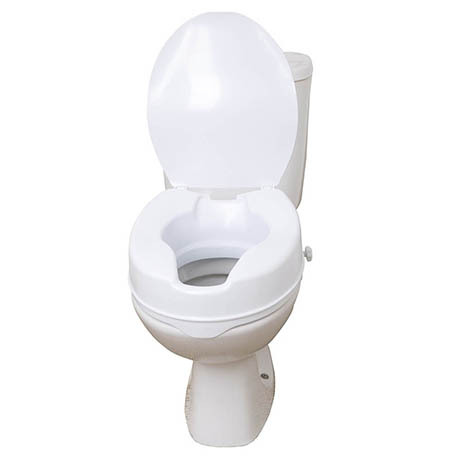 This raised plastic seat is designed to fit onto an existing toilet bowl to make sitting down and standing up from toilet easier. It attaches easily and securely to the toilet bowl with a front buffer and two rear plastic hand wheel locks. The cut outs in the front and rear of seat increase access for personal hygiene. Easy to install and clean.